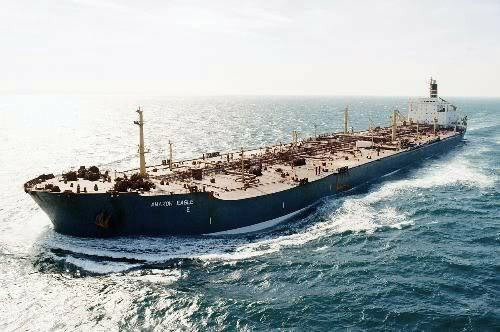 See also : Model Esso Hamburg (3) in 1 : 100 & See her also as "Esso Bermuda". 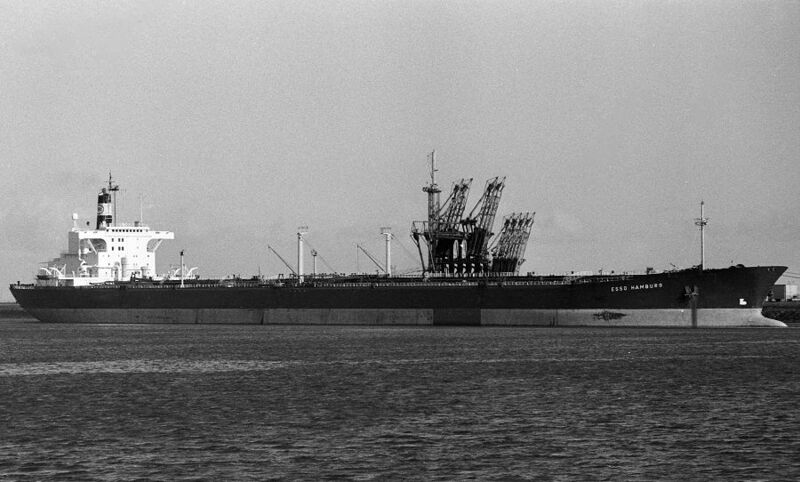 "The third "Esso Hamburg" was build in 1974. 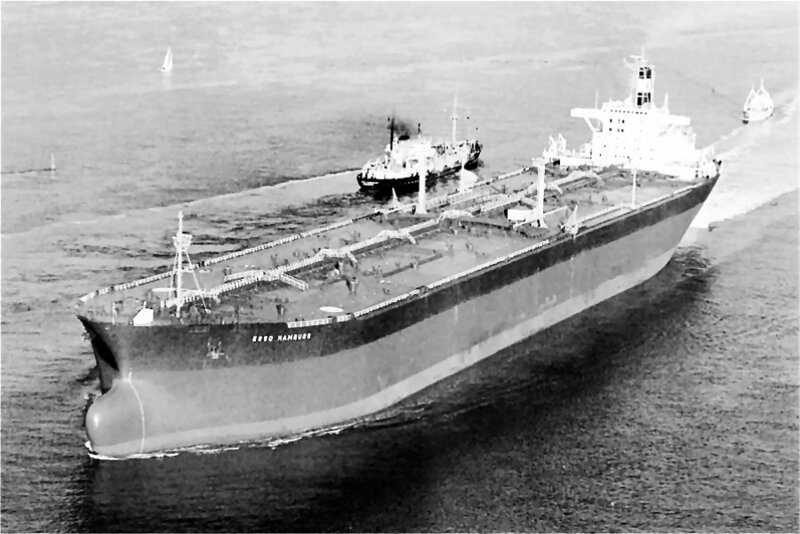 Renamed "Esso Bermuda" in 1985. 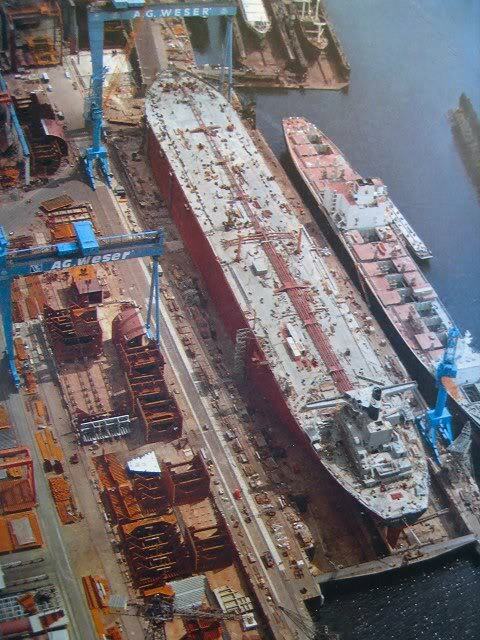 "Esso Hamburg" seen here under construction at AG Weser. 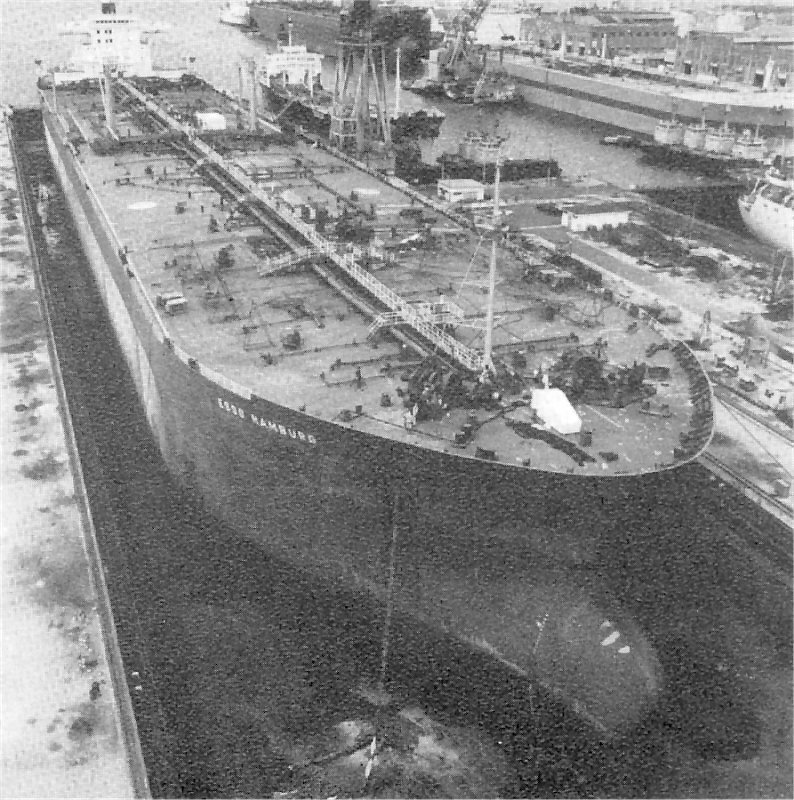 "Esso Hamburg", at Sembawang Drydock, Singapore. 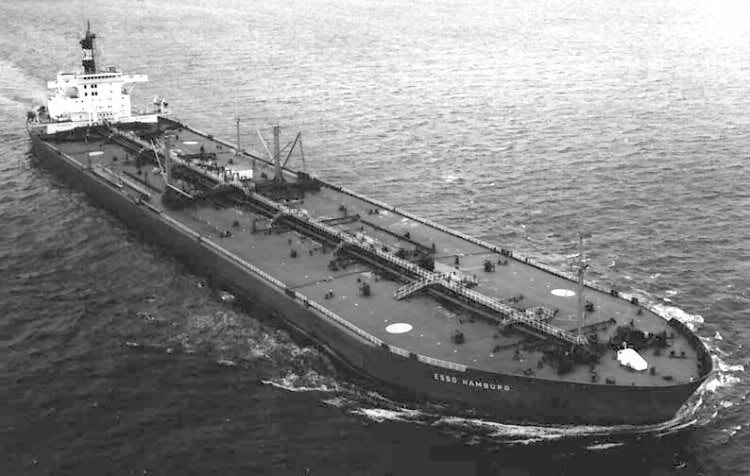 "Esso Hamburg". 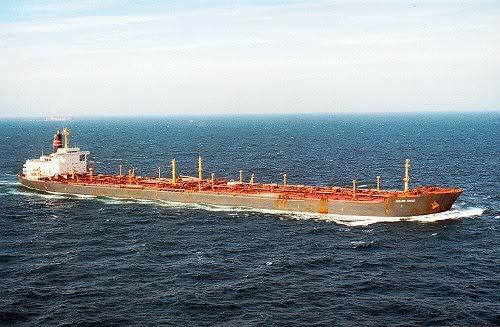 Sold as "Amazon Grace" in 1993. Sold for breaking up in 1995 in Sitalpur. "Amazon Glory", ex. "Esso Hamburg". 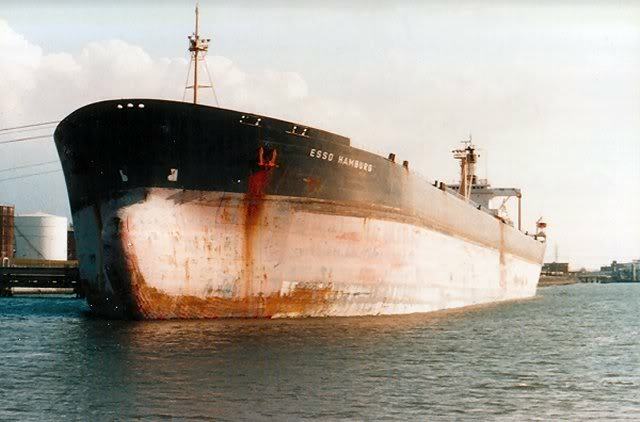 Broken up at Chittagong, arrived 1/5/1995. 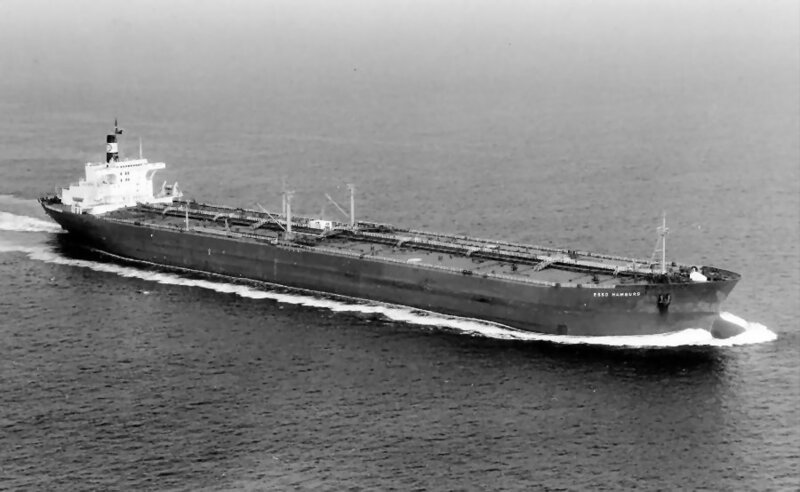 The Miramar Ship Index for "ESSO HAMBURG"